Excessive, unwanted hair can be a nuisance, though it can create problems much greater such as embarrassment and low self-esteem. Temporary removal methods, such as tweezing and waxing, can increase the hair growth and make it courser. The only permanent method of hair removal recognized and approved by the American Medical Association and the Food and Drug Administration is electrolysis. At Madison Park Electrolysis state of the art technology and the most current sterilization procedures are utilized. 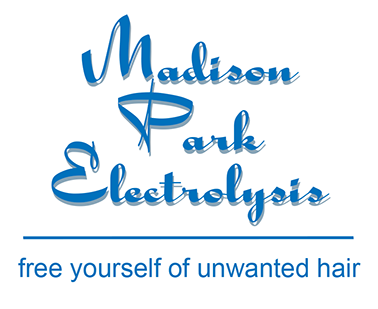 Electrolysis at Madison Park Electrolysis is effective, gentle, safe and private. Glenna Jacobs has been owner and operator of Madison Park Electrolysis since 1985. She graduated from San Francisco Electrolysis College and passed the California state boards to obtain an electrologist license. She holds a BA degree from the University of Washington. She is an active member of the American Electrology Association and the Washington State Electrologists Association. Glenna Jacobs has been able to help numerous clients over the years rid themselves of embarrassing hair and gain a new sense of self-confidence. You've been thinking about starting electrolysis. Why wait any longer? Start now by calling for a complimentary consultation at 206-325-2552.